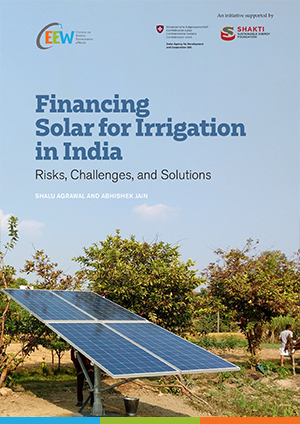 Solar pumps, having emerged as an alternative to conventional pumps, can improve access to sustainable irrigation for farmers in India. 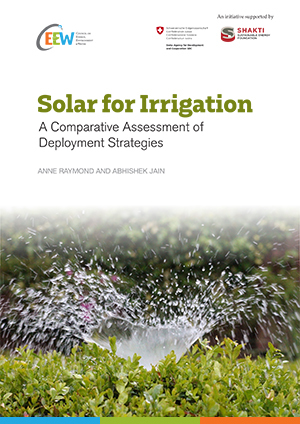 Despite the significant subsidies by the central and state governments, the adoption rate of solar pumps has been slow, raising the need to research into alternative strategies to promote adoption of solar-powered irrigation systems. 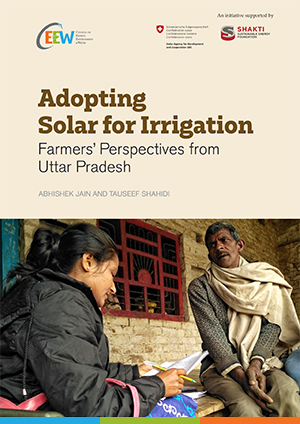 This report explores economically attractive approaches – from both the farmers’ as well as the government’s perspectives – to promote the adoption of solar pumps, and to assess the sensitivity of economic outcomes to variations in conditions across the country. The report was released by Mr Amitabh Kant, CEO, NITI Aayog, during the National Dialogue ‘Solar for Irrigation in India’, organised by The Council, the Shakti Sustainable Energy Foundation, and the Swiss Agency for Development and Cooperation at India Habitat Centre on 18 January 2018. Connecting solar pumps to the electric grid is expensive for the government and benefits farmers lesser than subsidies for the purchase of solar pumps. Farmers awaiting an electric connection for long or those who are unlikely to get an electric connection may find solar attractive at even 30 per cent subsidy, provided affordable financing is available. Water-as-a-service using solar pumps by village level entrepreneurs is a promising model to improve both the utilisation of solar pumps, and provide irrigation access to marginal farmers. Promoting solar pumps through interest rate subvention, rather than capital subsidy, improves the viability of rapid pump deployment from the government’s perspective, and can benefit farmers by supporting greater access to solar pumps to more people at a faster pace. Target farmers planning greater numbers of cropping cycles, or having more irrigation days each year, under individual ownership model of solar pumps. Focus on farmers currently deprived of grid connections under individually owned solar pump deployment. Provide interest-free loans to farmers with reduced capital subsidy to facilitate the deployment of a much larger number of solar pumps in a shorter span of time, while spreading the government cost over the term of the loan. Encourage pump sharing could be an opportunity for the government to increase the utilisation of solar pumps as well as the impact of government support while creating a market-based solution to ensure efficient and judicious use of groundwater.